ACB was invited and participated as a partner in the Second Museum Exhibition Fair in the town of Rousse, which took place form 27th to 29th October. 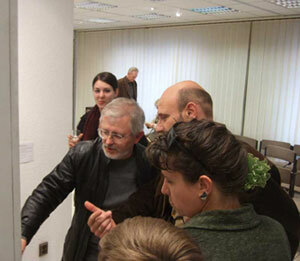 Elitsa and Vladimir Tsvetkovi, the curators of the ACB participation, presented a poster session. 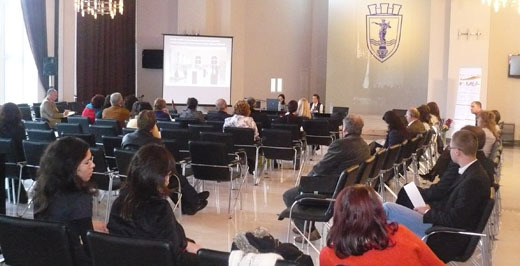 This session was a short version of the annual international "Forum Conservation" organized by the Association of Conservator-restorers in Bulgaria and the Conservation Section of the Union of Bulgarian Artists. The posters presented outlined the diversity of the conservation pracitce in Bulgaria and illustrated specific problem of the preservation of the cultural heritage in Bulgaria. On the second day Elitsa Tsvekova made a presentation and introduced the participants in the Fair with the activities of ACB. The fifth international Forum Conservation 2010 took place form 26th April to 2nd May 2010 in Sredets Gallery of the Ministry of Culture. 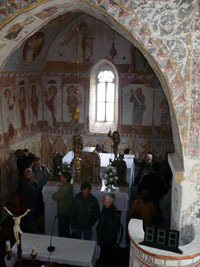 It was organized by the Association of Conservator-restorers in Bulgaria and the Conservation Section of the Union of Bulgarian Artists. 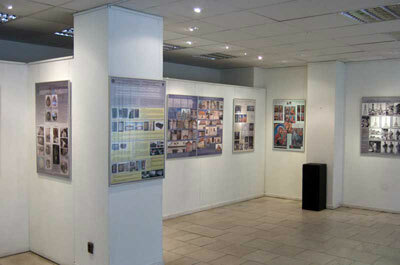 More than forty posters form Bulgaria, Slovenia, Serbia, Brazil and Hungary were put on display. Along with the posters the Conservation Department of the National Academy of Art presented wall paintings fragments, conserved as part of diploma projects. Special focus of the international presentation was the participation of the Hungarian Association of Restorers. A day-long session with presentations and discussion took place on 27th April. Together with the General Assembly of E.C.C.O. (31st of March) and the meeting of all presidents of ECCO member associations (30th of March) E.C.C.O. organises a meeting of professional organisations devoted to the cultural heritage in the Baltic, Eastern and Balkan countries. We are grateful to our new member, the Association of Conservator-restorers in Bulgaria, which will host this meeting in Sofia. 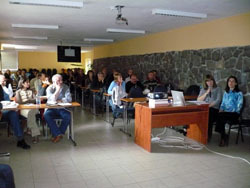 ACB took part in the 8th international seminar of the Chamber of the Slovak Conservator-restorers. 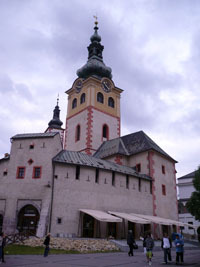 It took place in the town of Handlova from 24th to 26th September 2008. This three-day seminar was in fact conference. More than 14 papers were presented, supplemented with a trip to several local sights and discussion. 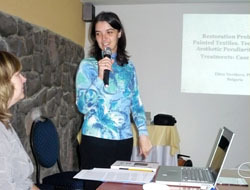 Our colleague Elitsa Tsvetkova presented a paper on the conservation problems of the painted textile. 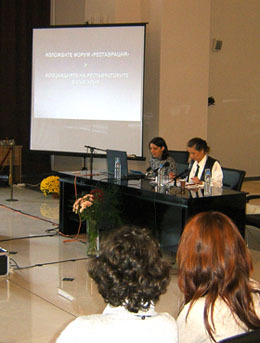 This if the first Bulgarian participation in the annual meeting of the Slovak conservator-restorers. 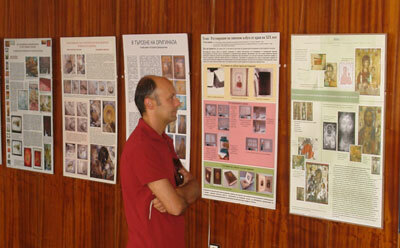 The conference was also a good chance to get in contact with the Association of Hungarian Conservator-restorers. From 05th to 16th September 2008 ACB and the Conservation Section of UBA organize poster exhibition in the town of Kostinbrod. 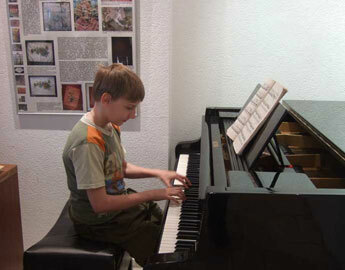 The event is initiated by the municipality of Kostinbrod and will be hosted in the local exhibition hall. 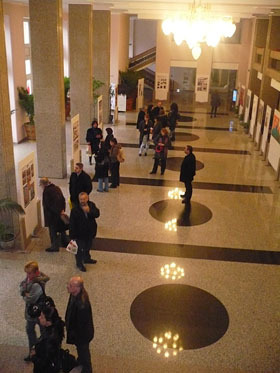 Curator of the exhibition is Stefan Stefanov ilbens3o@yahoo.com 18 posters present projects from different areas in the conservation of cultural heritage in Bulgaria. The mayor of Kostibrod Mr. Krassimir Krastev gave a speech on the opening. This is a joint project of the Association of Conservator-restorers in Bulgaria, the Conservation Section of the Union of Bulgarian Artists and the Chamber of restorers in Slovak republic . 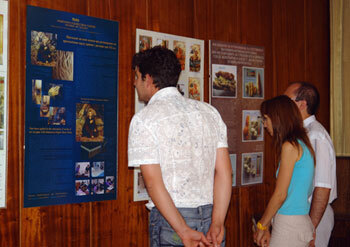 The aim of the poster exhibition is to present the diversity and uniqueness of the cultural heritage in the two countries. At the same time it puts together the shared professional attitude to the conservation of the cultural heritage that goes together with the development of a common European profile of the profession of Conservation-Restoration. Both ACB and the Slovak Chamber of restorers are members of the European Confederation of Conservator-Restorers' Organisations ( E.C.C.O.) . The exhibition, hosted by the Bulgarian Cultural Institute in Slovakia , puts on display 30 posters of various types of objects, conserved by the specialists in the two countries. 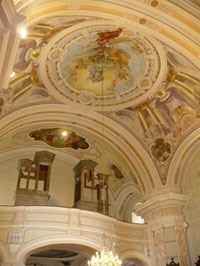 This project comes after more than three years of positive professional relations of Bulgarian and Slovak conservators. Download the official list of all participants with the titles of the posters. Take a look at the photo album of the event. 2. One day session with presentations and discussions on 12th April. Projects from Bulgaria, Canada, Greece, Israel, Slovakia and Slovenia were presented. Download the official catalog of the participants. We apologize for some mistakes in the names of the colleagues from abroad. Take a look at the photo album published here . ACB was just approved full member of European Confederation of Conservator-restorers' Organizations (E.C.C.O. ). This act is a recognition of the professional level of ACB, which works in accordance with the European requirements for the conservation-restoration practice.